Sir according to the tentative timetable given by Delhi University the date of du llb exam is on 17 june which is clashig with MH Cet. so sir these dates will change or they are final. 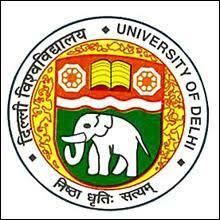 The dates given by Delhi University is tentative, and it may change. The final dates are not yet announced, so you can wait for the final notification regarding the DU LLB dates. When will DU LLB 2018 Counselling start? DU LLB 2018 Counselling will start from 23rd July 2018. When will the DU LLB 2018 Application start? What is the release date of DU LLB 2018 application form? what is the eligibility criteria? DU LLB 2018 Application form will release on 11th June 2018. To know about eligibility criteria, click here. Admission Date for DU LLB 2018 is 23rd July 2018. To know more about important dates, click here. Can I download admit card immediately after applying for DU LLB exam? Admit card’s download link will be available in your online account after the closing date of online registration. When will the duplicate DU LLB 2017 Admit Card be issued? When will the first admission list for DU LLB be released? The admission list for DU LLB will be released from the second week of after the exam. In which date DU LLB held on the Counselling? The DU LLB counselling will start from the second week of July to the first week of August 2017. When is the last date of submission for the applications form? The last date of submission for DU LLB application form is the fourth week of April 2017. When will the DU LLB be held on? The DU LLB exam will be held on the first week of June.